Winning best ‘World’s Best’ & ‘Europe’s Best’ Lambic/Gueuze in 2011, I was interested to see how this beer would rank among the ones I’ve sampled. To be honest, after sampling one style all the different breweries variations start to taste the same. It has really stretched my palate trying to pick our subtle differences. The hardest part is working on my vocabulary and clearly defining what I’m tasting. I poured a little more weak than most gueuze. That might be been due to some extended refrigeration, but for the most part the head did quickly rise. With a more aggressive pour I was able to produce a rocky off-white head that stuck around for a few minutes. The beer itself was much more clear and there was very little sediment at the bottom leading me to believe it was moderately filtered (I could be wrong). Overall, pretty standard looking. The nose displayed a much more funky spicy quality than others. It had the classic barnyard/hay smell along with a sour tingle, but it was more than just that. It was tangy and spicy like a grapefruit and pepper. It stung the nose a little and had more of a punch/kick/pop than most gueuze. Progressing to the taste, I found it to be very simple in the mouthfeel. Clean, crisp and lighter than unfiltered variation, it allowed me to focus on the lemon, citrus characters as well as what seemed like a stronger hop quality. Not so much herbal, but spicy. The front of the palate received that tangy/spicy smack which quickly moved to a sour citrus character mid-sip. The finish was super dry and zesty. This is the spiciest gueuze I’ve had to date. The flavors really stand out. 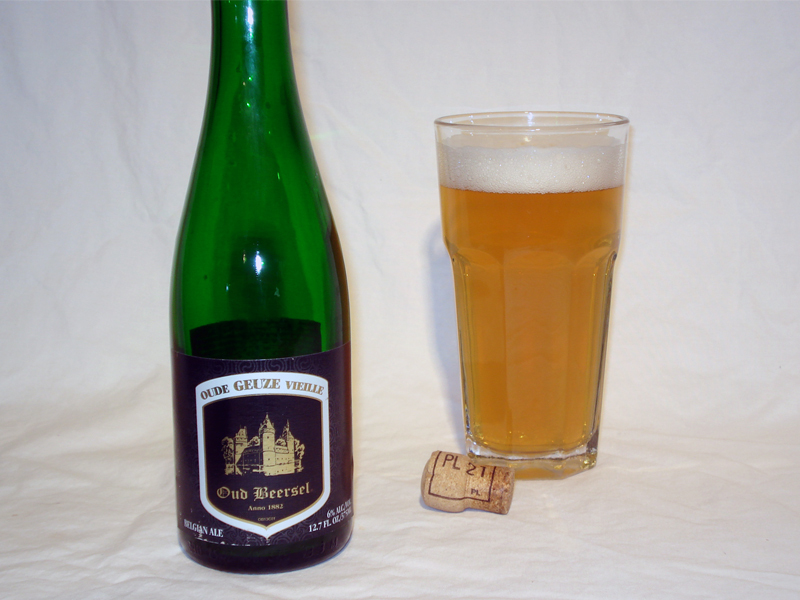 I’d say, Oud Beersel makes a geuze that is good for exploring those higher/complex flavors found in the style rather than just being a refreshingly sour beer. If anything, it is at least the most hoppy that I’ve tried.